19.11. 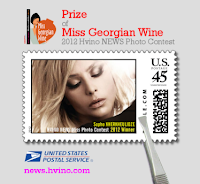 2012 (Hvino News) The US Postal Service has approved postage stamp with the image of Miss Georgian Wine 2012 - a photo contest organized by Artenom's Hvino News site. Earlier Hvino News has announced that the award for the winner of Miss Georgian Wine 2012 Photo Contest would be an unusual and unique object. This stamp with image of Sopho Kherkheulidze is the promised surprise for the winner. At the same time, this is official postage usable in the USA. It will also become a philately collector’s item. “We are glad to issue this unusual prize for Miss Georgian Wine 2012. The stamp also promotes Georgia worldwide – which is the main objective of Hvino News and other projects of Hvino.com. We have already started to accept photos for 2013 Contest, and we hope our next year’s prize will be a national Georgian stamp. 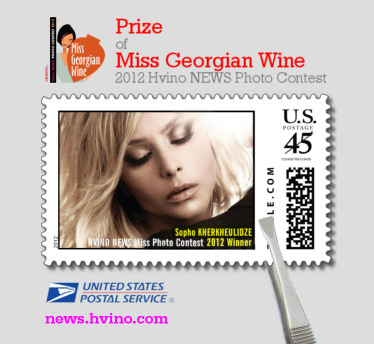 We would welcome Georgian Postal Service to partner in Miss Georgian Wine,” – said Alexander Kaffka, publisher of Hvino News . This exclusive stamp is printed in limited edition, and may be ordered by individual requests only. 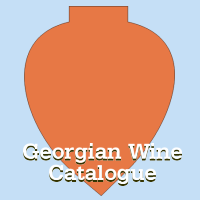 For those who do not work in winemaking but still like photography and Georgia, Hvino.com’s new resource HTN (Hvino Tour News) will soon announce a new photo contest – “Breathtaking Georgia”.